1. First up this week is these delicious creations from @mylittlehomeandfamily - how amazing does that pavlova wreath look?! I always think meringue reminds me of Eton mess in the summertime, but I love how Viv's made it look really seasonal and festive. And what a genius idea to turn cupcakes upside down and decorate them as Christmas puddings! 2. 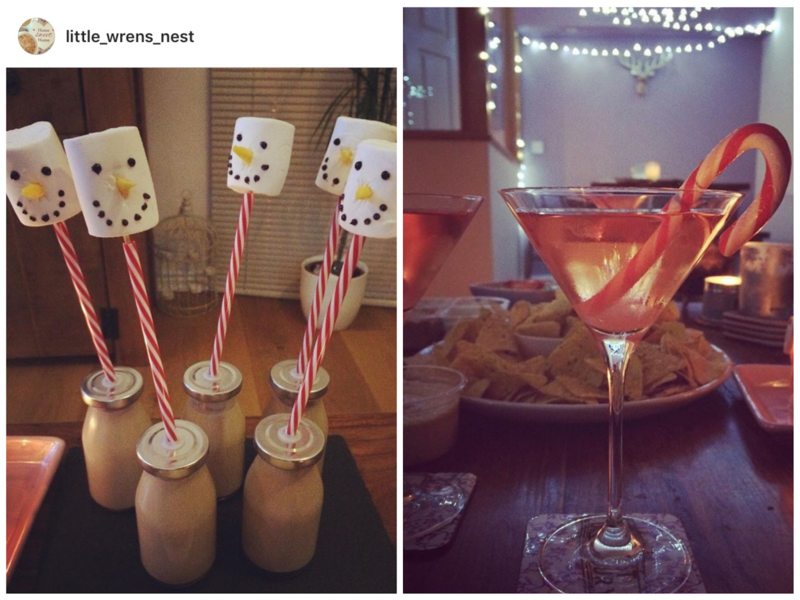 Next up is @little_wrens_nest, who has shared a couple of pictures of some of her festive drinks. And what's more festive than a Bailey's cocktail?! Those snowman marshmallows look so good don't they?! What a great idea. And that Christmassy cocktail complete with candy cane decoration is just amazing! Jenny's a girl after my own heart with these festive drinks. Plus I couldn't help but notice her beautiful cosy home in the background! Looks stunning. 3. Have you ever seen anything cuter than @isla_and_boris' Christmas jumper cupcakes?! 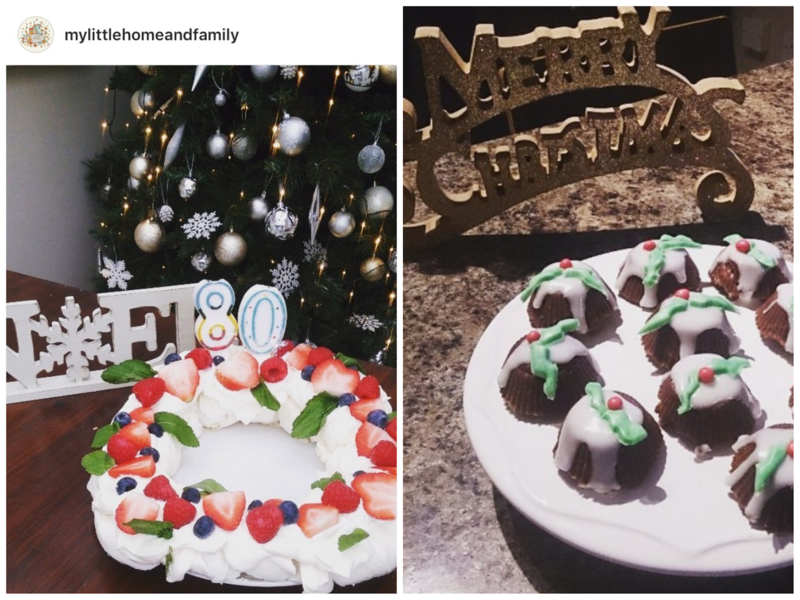 I'm totally in awe of Danielle having the patience to decorate these, but they were totally worth the effort - don't they look absolutely brilliant! Plus if you didn't think they could get any better, they're also red velvet cakes! 4. There's nothing like having some special Christmas crockery that you only bring out at this time of year - how gorgeous are @amy_fullbrook_x's Emma Bridgewater bits! Also, who doesn't love a bit of rocky road?! I love absolutely how Amy has created a mountain-like scene with hers complete with deer and trees! Looks so good! 5. 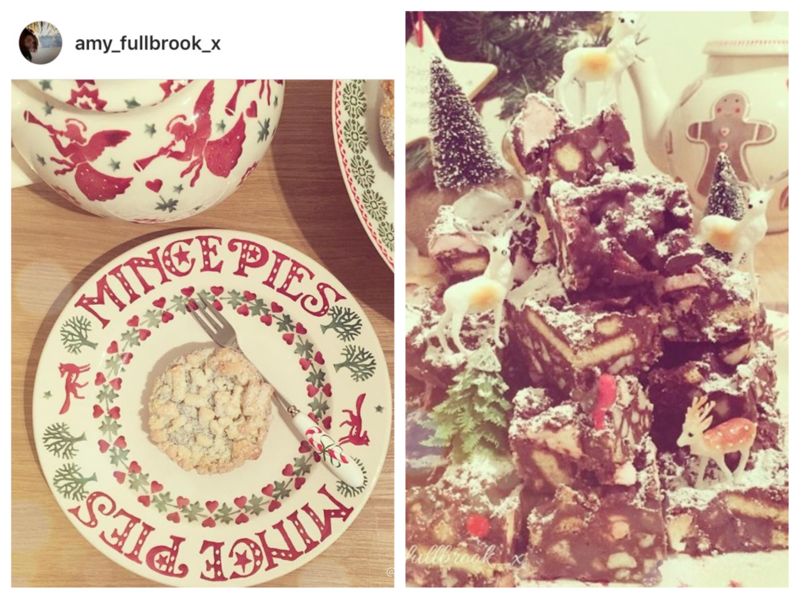 How lovely does @laurakateelvis' festive spread look?! There's nothing quite like a cheese board at this time of year is there - I always think it's the perfect Christmas afternoon snack (not that you should need to snack after Christmas dinner!) What an amazing idea of Laura's to display the cheese on slate and write the types on it too - absolutely genius! I might have to steal this idea this year, what with there being some types of cheese I won't be able to have. Love how she's displayed the grapes in a little wire basket, and how cute are those glasses?! What lucky guests Laura has! 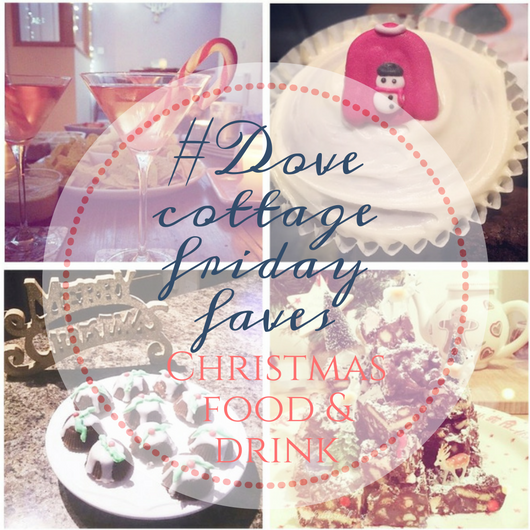 I've also had a few Christmassy home entries left over from last week's feature, so thought I'd share them here too, as they're so lovely! 6. How completely stunning is @jess_all.things.me's lounge?! I love the white/grey scheme she's gone for, and that frosted tree looks amazing in that corner. The white and silver decorations she's dressed it with are perfect too - just look at that beautiful bow at the top! 6. Next up is @mrsdebclark's lovely Christmassy living room. Her tree is the perfect fit for this space, and isn't decorated beautifully - looks like something from a showroom! Also I can't help but notice that dresser filled with gorgeous Emma Bridgewater bits! So jealous! 7. @carolinejsmith75's christmas tree is next - and I love the red, gold and pink theme she's gone for here. Plus what a lovely idea to use flowers and lace as decorations too! It looks so personal, and totally reflects Caroline's style which you can see throughout her lovely home. 8. I love to see how people style other parts of their home at Christmas, so was really glad to see @emily_aka_emmy had entered this lovely picture of her home. I love the traditional look of hanging stockings on a fireplace! I will definitely be doing that one day when I have my dream lounge complete with fireplace! And how lovely is her Noel sign?! Really simple but so effective. 9. Finally this week is this beautiful lantern from @fiona_snaps. How beautiful are those bright colours, and I love how they seem to glow with the candle inside. Super cosy! Hope this has provided you with some inspiration should you be thinking about what goodies to serve up to your guests over the Christmas period. Friday Faves is going on a break now until the new year, so if you have any suggestions about themes you'd like to see here next year just pop them in the comments below.